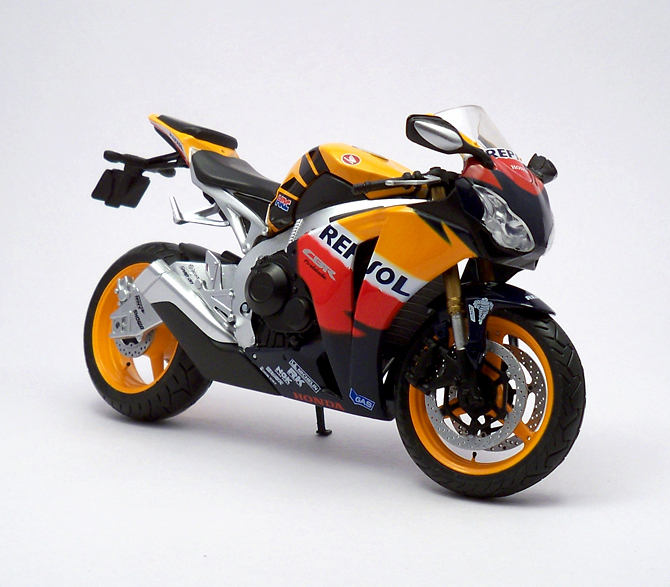 Honda CBR1000RR (also known as the Fireblade) is a 999cc liquid-cooled inline four-cylinder sport bike that was introduced in 2004 to replace the CBR954RR. 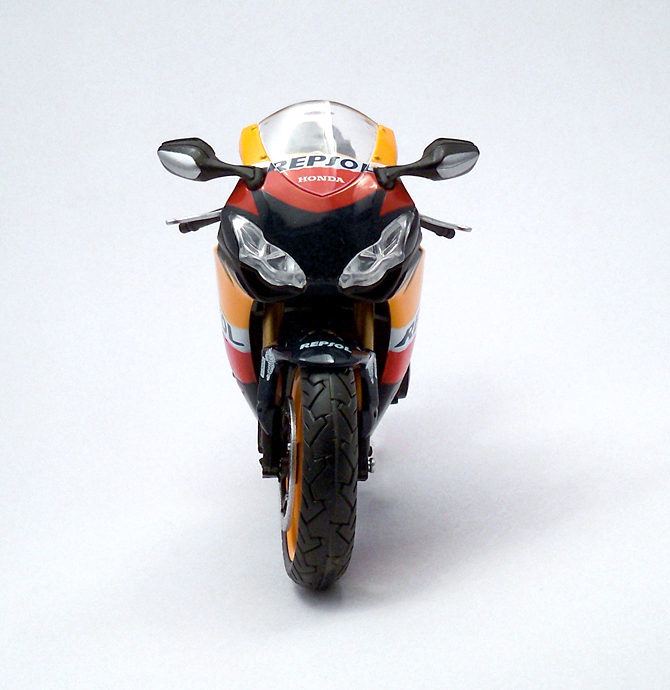 It was developed by the same team of MotoGp engineers. 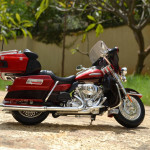 Many new technologies like lengthy swingarm, unit pro-link rear suspension, and dual stage fuel injection System were introduced in this model which are direct lift from the racing bike. This very model was introduced in 2008. It is powered by an all new 999cc engine featuring titanium valves, completely new cylinder block, head configuration, and crankcase with lighter pistons. 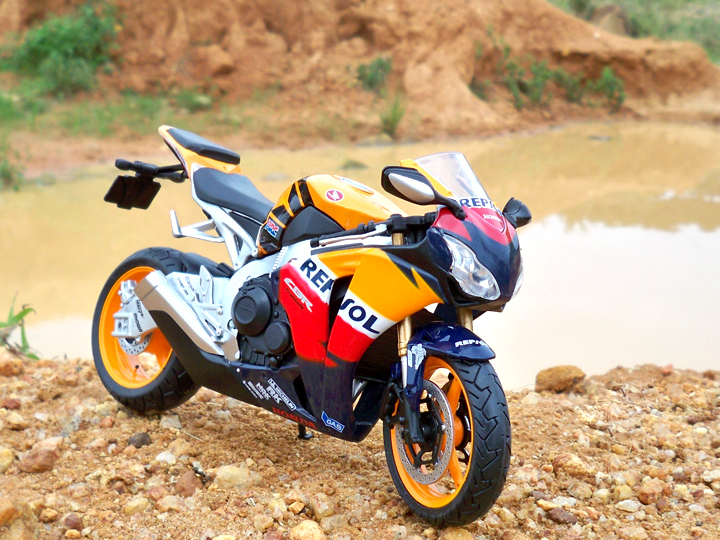 The whole bike was reengineered (using a new technique which Honda claims allows for very thin wall construction and only four castings to be welded together) to reduce weight including the sidestand, front brake hoses, brake rotors, battery, and wheels. A slipper clutch, center-cam-assist are added along with a revised electronic streeing damper and combined ABS (though the US edition in Repsol color came without it) system. A side slung exhaust replaced the underseat to increase mass centralization and compactness while mimicking a Moto GP style. 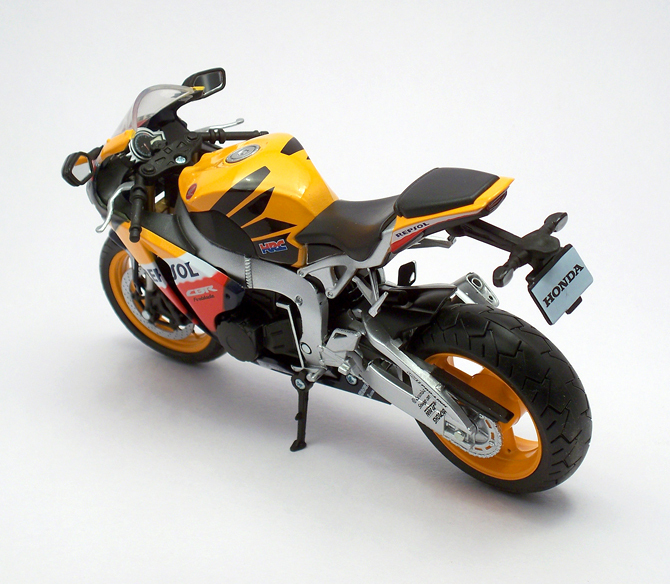 This 1:12 scale model is nicely executed by AutoMaxx. 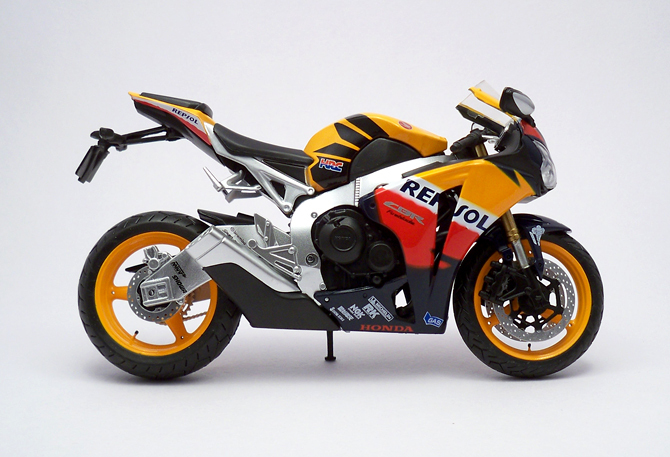 The paint finish scores above par rating because there is some smudge clearly visible between colors but the decals (specially the micro brands at the swingarm and lower body) scores full marks! 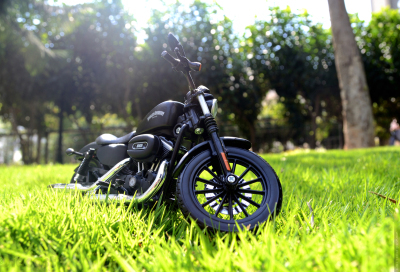 As with all other diecast bike models from AutoMaxx, minute details such as tire pressure caps, rear foot pegs, brake discs and calipers are very nicely done. The bike’s proportion matchs the real bike from every angle especially the ¾ shots (both front and rear). The exhaust is a kind of chunky but very nice indeed. The license plate shouting Honda looks too much (thats only my view). 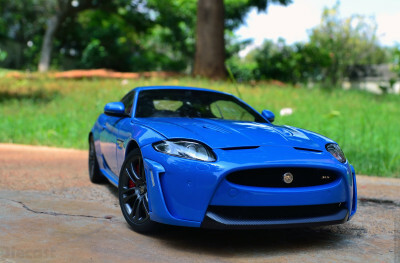 The tire tread pattern is a delight and orange alloys steals show with ease. The open chain cover and aluminum like kick start levers are another example of attention AutoMaxx guys have put in to details. The greatest flaw of this model is the head lamp treatement! which is kind of blunt and non exciting to look at. The rear view mirror mounded turn indicators would have been translucent but it is just a silver piece sticked to the mirrors. The instrument panel is nice and the handle bar is detailed to go very well with the rest of the bike. 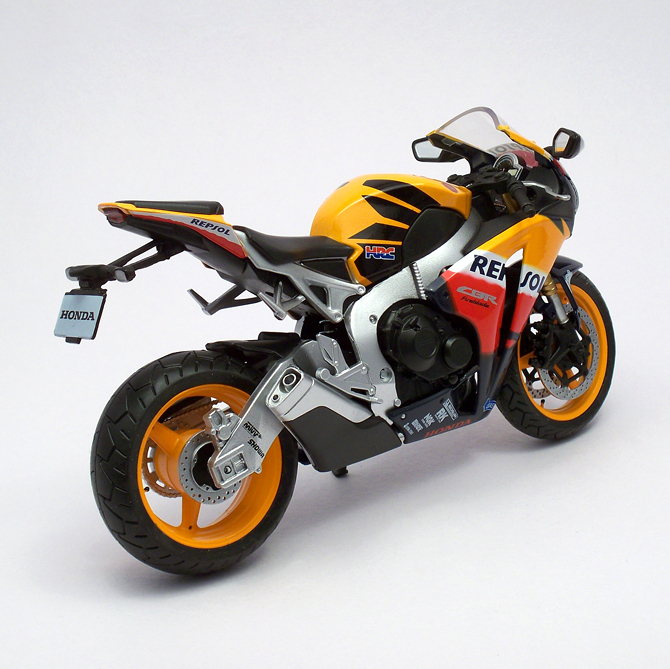 For a 1:12 scale model this bike packs in enough punch to blow a party, thanks to the color scheme which gets instant attraction no matter in which level it is. My verdict for this bike would be “MONEY WELL SPEND”. could u give me the adress where u find it? i cant find any automaxx websites or dealers :(. 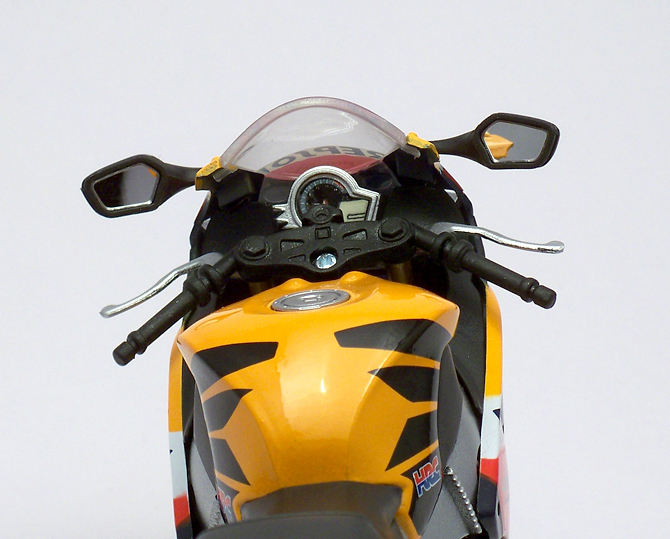 but i know the detailwork because i already got the yellow and silver fireblades from automaxx. Asaran23.as per my search automax is manufactured in china,and i found that the price given on ebay is almost the same as maisto and new ray..i think they are not in the market as yet.all u need is to get hold of a dealer who can get these bikes..well i know one dealer who gets me the new ray bikes,hope so he gets me automaxx tooo. Thats great! Let me know if you manage to find a dealer in India. That will save me on shipping costs from Japan (and the wait). Hey, Asaran23, I figured you are from India! 🙂 well can you tell me how much it costs in indian currency? This Automaxx costed almost one thousand rupees.. that includes import duties too.